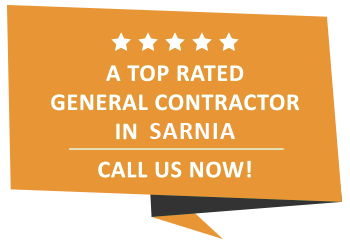 Commercial Renovation Services | Sarnia, Strathroy and Petrolia | Carosyl Home Additions Inc.
Today’s consumer is more sophisticated than ever. The environment in which they eat, shop, or visit plays a tremendous role in whether or not they will return to your establishment. If that environment is lackluster, it might be your customers first and last time they stop by. The single best way to leave a lasting impression is by teaming up with an experienced commercial renovation company. The right renovators can bring your commercial space to the next level to help you create a solid introduction. Commercial Renovation Services with Carosyl Home Additions Inc.
Renovating your business will not only benefit your customers, but your employees as well. Studies indicate that a rejuvenated space will improve employee/customer interaction as well as enhance the happiness and performance of your workforce. When it comes to commercial renovations in Petrolia, we employ the best of our abilities to get the job done on schedule and within budget. Give us a call today if you want to start talking about your commercial renovation ideas. We are looking forward to the opportunity of working with you!